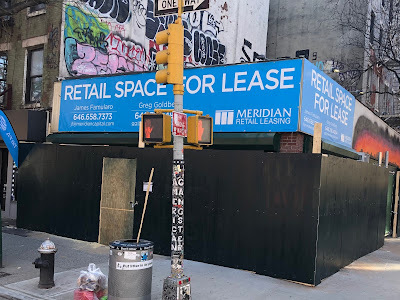 We received several queries about what was happening to this single-level storefront at St. Mark's Place that was home to Foot Gear Plus for 40-plus years until July 2018. The property had been on the sales market, with a pitch mentioning 4,150 square feet of air rights. According to a filing that hit public records in November, the property changed hands for $3.85 million. 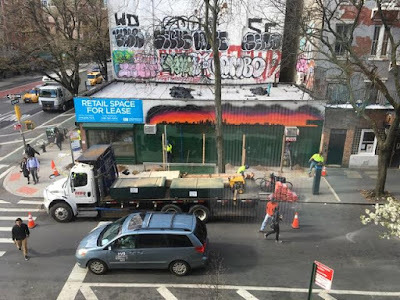 The new owner is an LLC that shares an address with HUBB NYC Properties LLC, a real-estate operating company. Late last November, the retail-for-rent signage went up on the corner space. 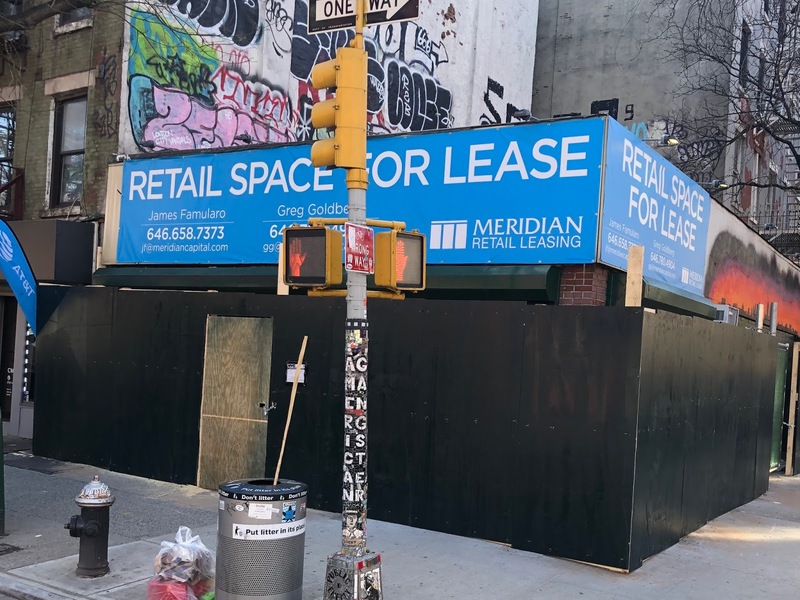 The listing with Meridian Capital shows that the storefront can be divided up into three smaller spaces ... with a "brand new build out." 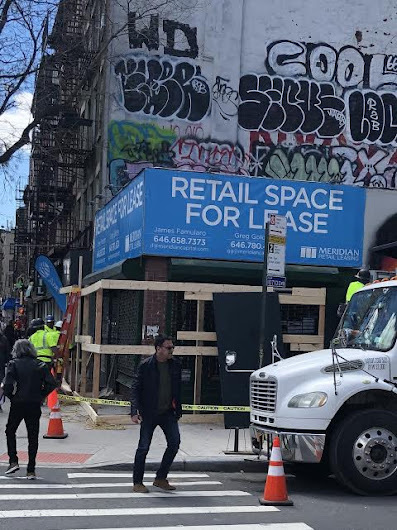 Presumably the plywood represents the start of this new build out for retail use... and not a demolition for use as a residential spot. 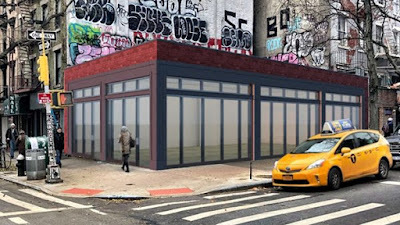 What's next for 131 1st Ave., the former Foot Gear Plus space?